A low-cost real time live trap system designed for trappers who do not need GPS or location mapping for their traps. Get email or text alerts on your desktop and mobile devices. 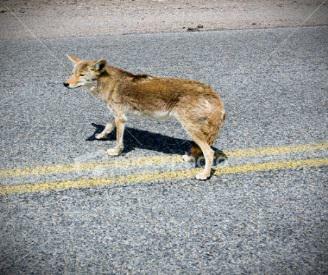 Increase productivity and reduce the frustrations of wildlife trapping. TrapSmart™ provides an easy, humane and convenient way to remotely monitor wildlife traps using advanced GPS communication technology. No more driving back and forth, wasting time and gasoline, to check empty traps. 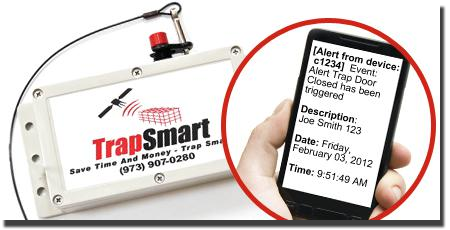 TrapSmart sends you an alert – via text or email – to let you know when your trap closes. So you only check traps when absolutely necessary. Reduce frustration and increase productivity using the TrapSmart remote trap monitor system. 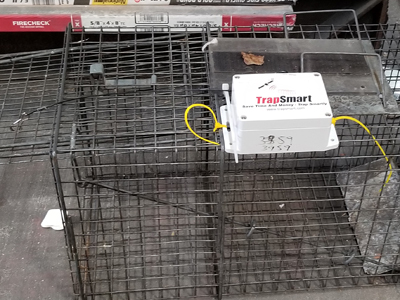 Whether you are a wildlife biologist, nuisance trapper, animal welfare professional, researcher, or pest control professional, TrapSmart has a solution for you. Whatever size animal, from mice to moose, we will help you be more productive with less effort.